If you rewind the clock 20 years, a conversation about automotive manufacturing in Mississippi would never take place. Building cars and parts for cars was restricted largely to cities like Detroit. That all changed in 2001, when Nissan chose Canton, Mississippi, as the site of a new North American production plant, and automobiles soon began rolling off the assembly line. The Mississippi Development Authority (MDA), in conjunction with other state, federal, and private agencies, put together a great incentive package for Nissan as part of attracting them to build their new plant in Canton. 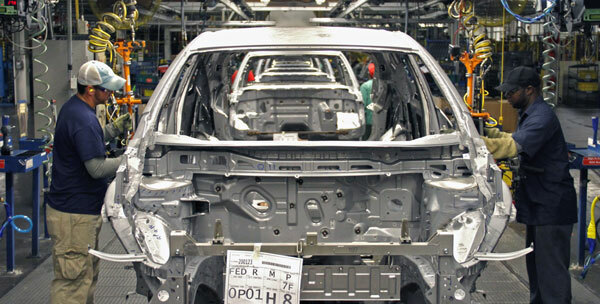 Nissan was, for the industry, a sort of test case; other manufacturers watched to see how they would fare in this state new to automotive manufacturing. Canton’s Nissan plant is now one of the most complex automotive manufacturing plants in the country, with eight different vehicle models coming off the assembly lines. Nissan’s location in Mississippi bore fruit, and other manufacturers were not long in noticing. The positive results opened the floodgates for others in the industry to begin considering the benefits of locating their next facility in Mississippi. Don Stoegbauer, executive director of the Mississippi Automotive Manufacturers Association (MAMA), says that “Nissan’s choice of Mississippi started a landslide of movement in the automotive sector that changed the landscape of automotive manufacturing in the state.” Notable additions of manufacturers include Toyota, PACCAR, Green Tech Automotive, Yokohama Tire, and Continental Tire. Upwards of 50 more Tier 1, 2, and 3 suppliers have located in the state since then, building parts and providing services to Mississippi’s automotive manufacturing plants. In addition to the workforce, support for the auto industry has become another major factor in helping convince manufacturers to locate in the state. Both state government and private parties throw their support behind these projects, making sure everything lines up for success. Other significant factors impacting the phenomenal growth of automotive manufacturing in Mississippi include the state tax structure, incentive packages, economic environment, land for building and expansion, secondary education for workforce training and development, direct access to rail, air, and shipping lanes, and the continued movement of suppliers into the state. The rapid growth of the industry in Mississippi has obviously been beneficial for the state’s economy, but no change comes without challenges. As automotive manufacturing has expanded in Mississippi and across the region, regional resources have been stretched to support all of the new plants and industry. One of the largest challenges is having an experienced workforce in place to step into the various positions needed in manufacturing plants. Manufacturers need local development programs and strategies to retain and attract qualified talent to the state. Mississippi is tackling this challenge by continuing to expand workforce development programs in the state, especially supporting university and college programs designed to train people to work in these facilities. Many of these programs exist, including the CAVS Extension at Mississippi State, the University of Mississippi’s Center for Manufacturing Excellence, and myriad training programs at state community colleges, often designed in conjunction with local manufacturing facilities. 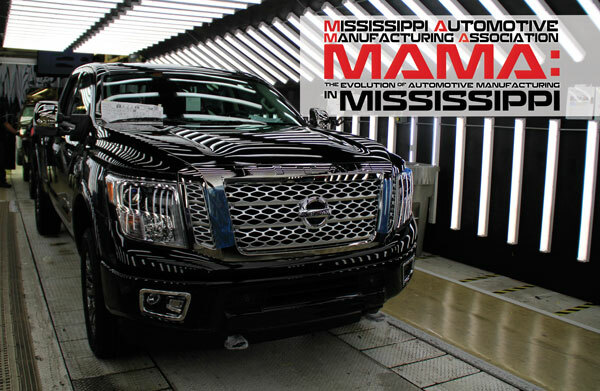 Rewarding and significant careers are being created by the growth of automotive manufacturing in Mississippi, and as long as these and other challenges are met when they arise, Mississippi should continue attracting interest from this particular industry segment. MAMA was founded in 2005 to “provide a forum for interaction among automotive manufacturing companies in Mississippi.” MAMA works to further automotive manufacturing in Mississippi through various avenues, including encouraging company cooperation, hosting informative and collaborative gatherings, and even offering college scholarships for students planning to study in fields related to automotive manufacturing. MAMA works today to help problem-solve and improve the automotive industry in the state. A significant piece of this work right now involves fostering synergy between MAMA and other automotive associations in surrounding states. While the southern states do compete for new jobs and industry, MAMA’s vision is to also have them cooperating to further develop what is becoming known as the Southern Automotive Corridor. 2016 is a significant year for MAMA, since they will host the annual Southern Automotive Conference in Biloxi this October. It is Stoegbauer’s hope that the conference further helps states collaborate where it makes sense — developing the regional workforce, sharing ideas, setting benchmark goals, and developing best practices for manufacturing excellence and safety. Working together, the region will continue improving, and Mississippi will continue its incredible growth in the automotive manufacturing sector. What is MAMA working on now? For more infomation on MAMA and the work they do, please visit their website: http://mamaonline.net/.